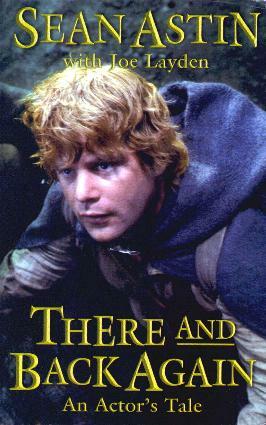 Sean Astin (Sam Gamgee in "The Lord of the Rings") has been around longer than you think. He starred in the film "Rudy" (among many others) and is the son of celebrated actress Patty Duke and adopted son of actor John Astin. In this candid account of his young life, and in particular his story behind the "The Lord of the Rings" trilogy, he opens up and tells the story of his life; how he got into movies, his attitude at the time, the struggles of a young actor (despite his parents' fame) in Hollywood, and the goings on in Movieland, some of which are eye-opening. He's written a firsthand account of his experiences and expectations of being an actor, his roller coaster emotions, as well as his associations with many big names in Hollywood. What I found very interesting, and not something you often read about in memoirs or autobiographies, is Astin's account of the actions and reactions of some Hollywood players - from fellow actors to directors, producers, writers, agents, and the like - and I felt I could believe his words as an honest opinion. One never usually hears about these things so it's hats off to Astin for being so candid. He also mentions his mother, her book, her illness, his own delightful family, and tells it like it is. You be the judge if you think he's being disrespectful - I didn't think so. I also think that in some instances in the book, Astin may be criticized - perhaps for being too honest? Conclusion - Interesting and well-written. I really enjoyed this book.